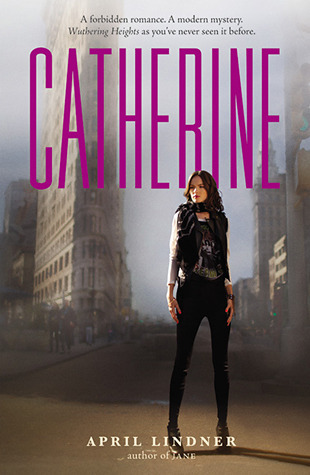 April Lindner delivers a fresh retelling of the Emily Brontë classic Wuthering Heights in Catherine. She is also the author of Jane and a professor of English at Saint Joseph's University in Philadelphia. April lives with her husband and two sons in Pennsylvania. Chelsea's mother disappears when she is three and all of these years, she has believed that her mother is dead so when she discovers a letter in her father's closet, it drives her to discover exactly what happened all those years ago. She soon learns that her mother, Catherine, was part of rock royalty and her grandfather gave starts to musical groups by featuring them at his club, The Underground. Her grandfather, now deceased, left the club to Catherine and her older brother, Quentin, who is now a survivalistic gun fanatic with paranoid leanings. As Chelsea learns more about her mother's family, she decides to go to New York and visit the club in hopes that she might find her mother. Since the story is told in Catherine's voice from twenty years prior through her diary and present day Chelsea, it becomes apparent that the family wasn't as perfect as she once thought. At the club, she meets Coop, a young musician who takes pity on her and gives her as help as he can. Hence, the guy who now owns the club, was once the love of Catherine's life and a former rock prodigy of her father's. Chelsea has completely avoided her father when she ran away to New York and never really asks her father point blank the truth about her mother or do a basic google search on her. I adore Coop and the fact that he stands by Chelsea through out her search. Hence is a completely other subject, he deeply loves Catherine and understands why she left him, but has never gotten over it. His hurt over this is just devastating. Chelsea's father always thinks he is doing his best to keep this part of her mother's life closed off to her, even though it is next to impossible to keep secrets like this from children. They always seem to know what is missing and that there are secrets. Of course this damages their relationship, but in the end, they both grow from the experience. So, the characters and the plot are based on the original Wuthering Heights with the Underground club as the house and the story is wonderfully plotted out with a surprise ending. Parents: there is some violent imaginary, some language and some kissing but nothing too graphic. I can't wait to see what Lindner comes up with next! you can visit my blog here http://momlessmom.com/ and subscribe to my emails.